Which of the South Korean electronics giants got it right? 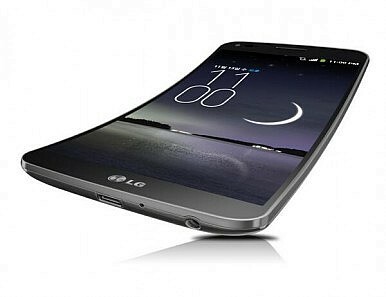 Samsung and LG have been working on flexible smartphone displays for several years now. Creating such a piece of technology hasn’t been a walk in the park, though, and both Korean manufacturers have stumbled across various production and technical issues. These two consumer electronics giants previously showcased their flexible panels, but the technology was too young to go into mass production. This year, the situation has changed, as both LG and Samsung have pushed this idea to new limits. The companies have raced each other in a quest to be the first to deliver a smartphone boasting a flexible display. As such, both manufacturers managed to unveil their first curved handsets several weeks ago, but they also had to cut corners in order to achieve this. Tech watchers should already be aware of what smartphones I’m talking about. These are, of course, the Samsung Galaxy Round and the LG G Flex. Which one is the winner? Well, I’m afraid that there are multiple answers to that particular question. First things first, let’s talk about what makes these handsets tick. Both the G Flex and the Galaxy Round were announced in a similar timeframe, and both devices are labeled as flagship smartphones. However, while you can expect a couple of similar features being shared by these devices (specifically the Snapdragon 800 quad-core CPU and the Adreno 330 GPU), the differences are many. Starting off with the Samsung Galaxy Round, this curved beast features roughly the same specifications as the Galaxy Note 3. It delivers a 5.7-inch Super Flexible AMOLED display with a resolution of 1080 x1920, resulting in a pixel density of 386 PPI. The device is equipped with 3 GB of RAM and 32 GB of internal storage, expandable by up to 64 GB via microSD. A 13 MP main camera with 2160p at30fps video recording capabilities resides on the back panel, complemented by a front-facing 2 MP sensor. The device draws its energy from a 2,800 mAh battery and runs on Android 4.3 Jelly Bean out of the box, sprinkled with the TouchWiz user interface on top. On the other hand, the LG G Flex delivers a 6-inch display with a rather underwhelming resolution (by today’s top-tier standards) of 720 x 1280 and a pixel density of 245 PPI. There are only 2 GB of RAM, and while the on-board storage is a decent 32 GB, there are no possibilities of expanding. On the back panel resides a 13 MP main camera with 1080p at 60fps recording capabilities, and on the front panel there is a 2.1 MP sensor. Everything in the G Flex is being coordinated by Android 4.2.2 Jelly Bean and the handset draws its juice from a very generous 3,500 mAh Li-Po battery. On the face of it, and judging by these hardware specs, the Galaxy Round should win the battle by a decent margin. However, as mentioned above, picking a winner is not that simple, and below you’ll find out why. As mentioned above, both South Korean manufacturers had to cut a few corners in order to deliver these two curved smartphones in time. While the Galaxy Round seems to come out on top in the raw spec battle, the biggest problem with the handset is that it’s currently being retailed in very limited numbers at a pretty high price, and only in South Korea. In contrast, the LG G Flex is expected to go on sale on a wider scale, including western markets. Rumors had it that the Galaxy Round is more of a prototype smartphone than anything else, and that alone could be a reason to disqualify it from this competition. More so, due to the curved nature of the Round, Samsung had to fit the handset with an oddly shaped, flat battery that doesn’t seem too promising. The Galaxy Note 3 features a 3,200 mAh battery for good reasons (the large 1080p screen for starters), and given the fact that the Round shares the same overall hardware specs as the Note 3, a 2,800 mAh battery might not be enough. In contrast, LG has developed a new type of battery for the G Flex, a battery with a curved form factor in order to match the overall design of the device. This allowed the manufacturer to fit a generous battery that should provide enough energy even for the most demanding users. More so, LG also seems to have paid more attention to the handset’s design. Being curved on the vertical axis as opposed to the horizontal one, the device promises an IMAX-like viewing experience in landscape mode. The G Flex also features back-fitted physical buttons like the LG G2 before it, and the case itself has been coated with a “self-healing” paint. Oh, and the display is actually bendable. All in all, while the Galaxy Round is a more powerful handset in terms of raw specs, the limited availability is an issue. The G Flex also seems a bit more ambitious than the Round, despite its not-so-high screen resolution. So who’s the winner? I suppose it depends on each person’s expectations from a curved smartphone. As usual, we invite you to share your opinions below. Which one of these handsets would you rather buy, and why?